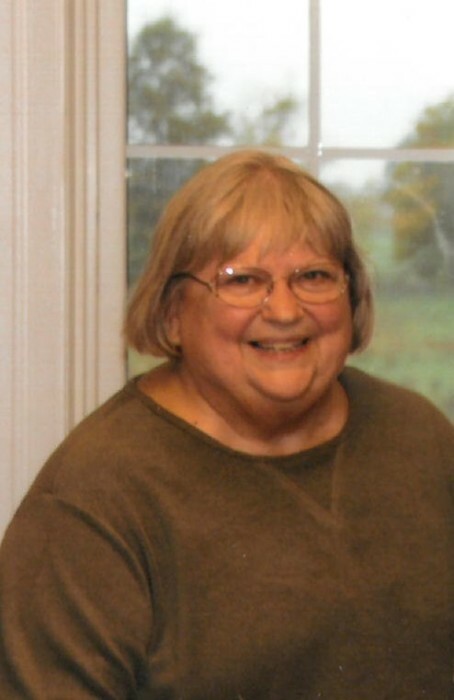 Janice Roush, age 75, of Brookfield, died Saturday, March 30, 2019, at Boone Hospital Center in Columbia. Funeral services will be at 1:00 p.m. on Thursday, April 4, 2019, at Wright Funeral Home in Brookfield with Pastor David Blakely officiating. Burial will be in Rose Hill Cemetery in Brookfield. Visitation will begin at 1:00 p.m. on Wednesday, April 3, 2019, and the family will receive friends from 6:00 until 8:00 in the evening at the funeral home. Memorials to Grace Baptist Church may be left at or mailed to Wright Funeral Home, P.O. Box 496, Brookfield, MO 64628. Janice Kay, daughter of Daniel and Hannah Louise (Coram) Thudium, was born July 23, 1943, in Kirksville. In September of 1961, she married Jim Roush. Janice was a homemaker and enjoyed spending her time scrapbooking. She was a member of Grace Baptist Church in Brookfield. Survivors include her husband, Jim of the home; two children, Tony Roush and wife, Janet of Brookfield and Christy Williams and husband, Joe of Tuscon, Arizona; one grandson, Nicholas Roush and wife, Brooklyn of Lawson; and two sisters, Evelyn Clough of Linn and Sandy Williams and husband, David of Lake Lotawana. Her parents; and one brother-in-law, Bill Clough preceded her in death.